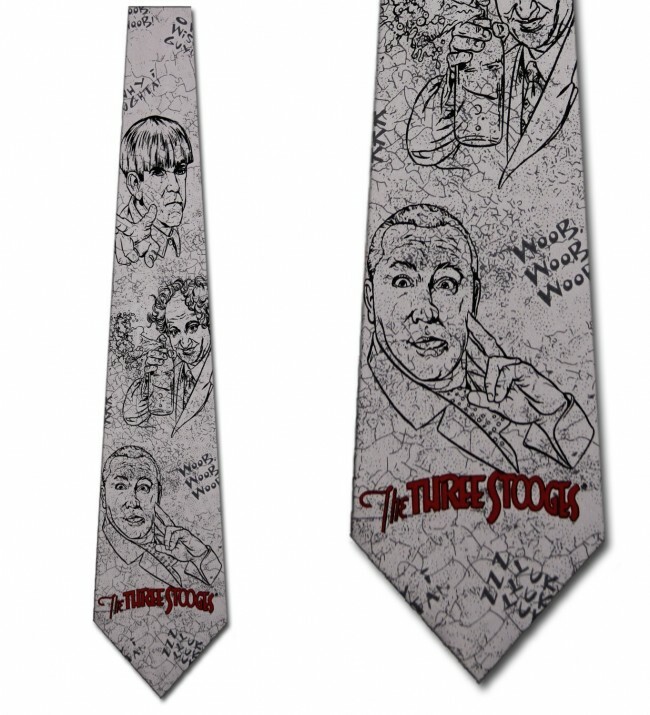 Liven up the office atmosphere with this Three Stooges Crackle necktie. 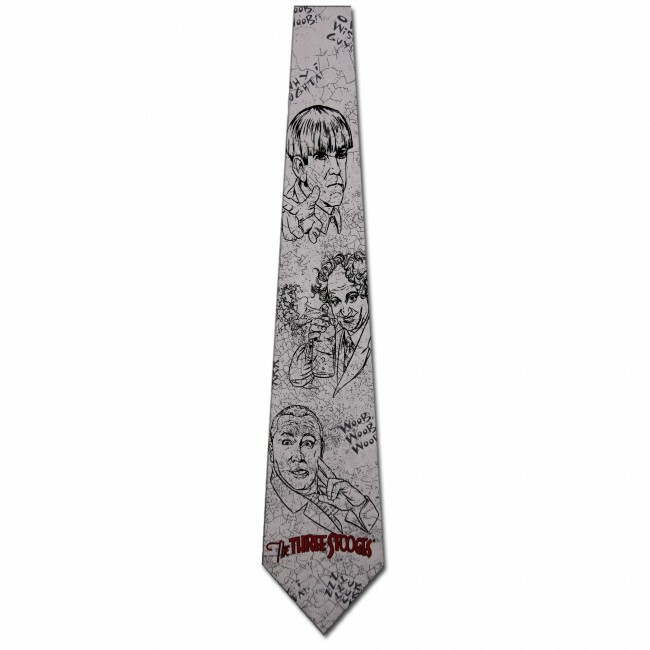 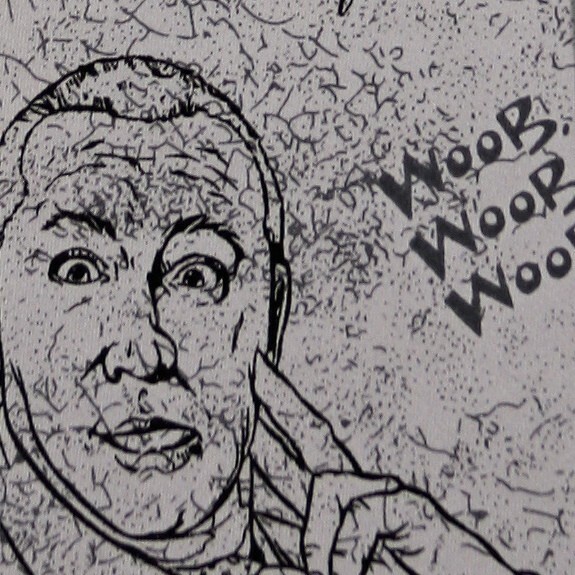 Tie features sketches of Moe, Larry and Curly along with their famous catchphrases on a gray crackle background. The Three Stooges neck tie is a subtle way to show off your personality and bring some fun to work.